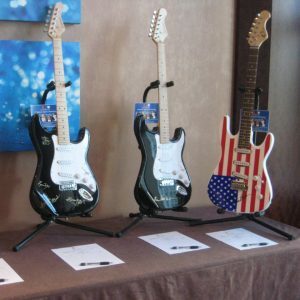 Our silent auction consignment program is the perfect way to add revenue without an upfront cost. We will provide you with a list of items we keep in stock, as well as a list of our most popular items from which you can choose items. ASM will create a list of the selected items & corresponding descriptions along with an associated cost for the item. You may start the bidding at that amount or at any other price you choose. Should the item sell, you would pay the initial cost. Any amount above the cost is yours to keep for your charity. If an item does not sell, simply return to ASM, nothing further is required. 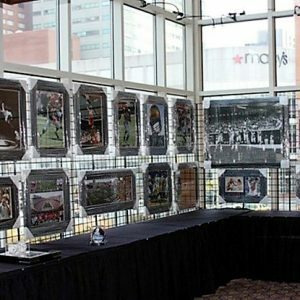 ASM has thousands and thousands of items to choose from including (limited edition photos, autographed items, jerseys, movie-related, sports items, local artist prints, and photographs). All items carry an ASM authenticity guarantee.